Depression is a true and treatable medical condition, not a normal part of aging. 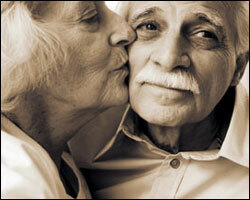 However older adults are at an increased risk for experiencing depression. If you are concerned about a loved one, offer to go with him or her to see a health care provider to be diagnosed and treated. Depression is not just having “the blues” or the emotions we feel when grieving the loss of a loved one. It is a true medical condition that is treatable, like diabetes or hypertension. How Do I Know If It’s Depression? Older adults are at increased risk. We know that about 80% of older adults have at least one chronic health condition, and 50% have two or more. Depression is more common in people who also have other illnesses (such as heart disease or cancer) or whose function becomes limited. Older adults are often misdiagnosed and undertreated. Healthcare providers may mistake an older adult’s symptoms of depression as just a natural reaction to illness or the life changes that may occur as we age, and therefore not see the depression as something to be treated. Older adults themselves often share this belief and do not seek help because they don’t understand that they could feel better with appropriate treatment. 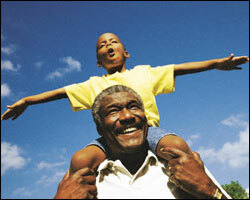 The good news is that the majority of older adults are not depressed. Some estimates of major depression in older people living in the community range from less than 1% to about 5% but rise to 13.5% in those who require home healthcare and to 11.5% in older hospital patients. Most older adults see an improvement in their symptoms when treated with antidepression drugs, psychotherapy, or a combination of both. If you are concerned about a loved one being depressed, offer to go with him or her to see a health care provider to be diagnosed and treated. If you or someone you care about is in crisis, please seek help immediately.